It’s common for women to straighten their hair every day. Hair irons are used so much, but most people probably don’t know the evolution of the hair straightener. For example, do you know who invented the hair iron, or when it became popular? If not, you might be interested to find out. Actually, it’s quite an interesting history once you look into it. 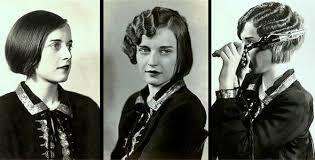 Hair straighteners are nothing new. People have been coming up with ways to change the look and feel of their hair for centuries. However, it wasn’t too long ago that people started pressing their hair between hot plates in order to straighten it. Now, it’s a pretty commonplace way to go about getting straight hair fast. Although, even in the modern age, much has changed about the ways people go about straightening their hair. You might use a traditional flat iron, or you might use something a little more advanced in technology, like ionic heating. Regardless of how you go about getting straight hair, every flat iron has roots in the past. Care for a Hair Straightener, Madam? It all began in the late 1800s with a man named Marcel Grateau. 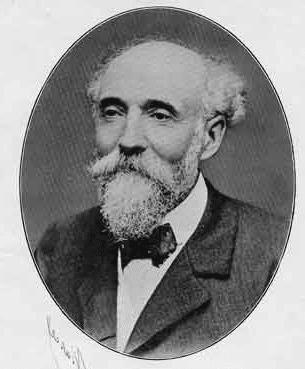 This Parisian man started using heated rods to style hair in 1872. Now, this was of course was not the hair iron that we know today. It was exactly what it sounds like: two metal rods that could be heated. When hair was pressed between them, it created the client’s desired effect. However, this tool was used for both curling and straightening, although it is the earliest version of a straightener. In fact, there are hair tools that are named after Grateau as an homage to his contribution to hair straightening. Then, in 1910, Isaac Shero patented the design for the hair iron. Unfortunately, he wasn’t smart enough to place both flat irons on a handle. It wasn’t until 1912 when Scottish heiress Lady Jennifer Bell Schofield built a hinged, two-plated iron. 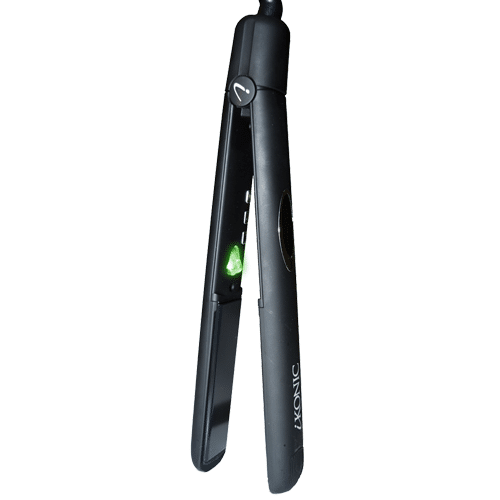 This invention is the most similar to the straightening flat irons on the market today. Strangely enough, there’s a bit of science behind hair straightening technology. Straightening works by breaking the hair’s hydrogen bonds. The hair stays straight until the bonds reform, usually due to moisture. That might be where hair ironing technology began, but that sure isn’t where it ends. Over the last 100 years, a lot of advancements have been made in flat iron technology. 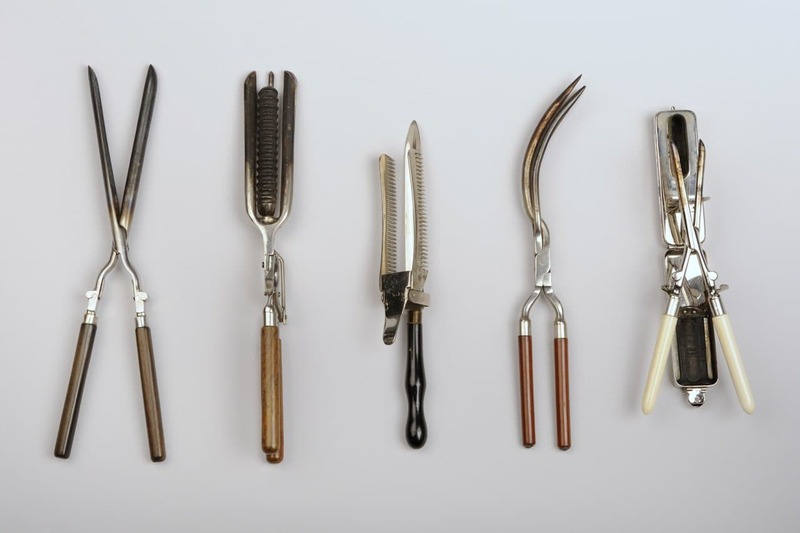 Once the flat irons were connected with a hinge to a handle, innovators started coming up with different ways to improve upon this useful hair tool. For example, in the past, most hair irons have been built from metal. It’s a pretty reasonable design since metal heat up quick. Over time, though, people started to realize that heating hair between metal plates would cause it some damage. That’s partly why different materials are now often used to build the heating plates. One of the most popular changes to hair irons has been coating the plates with ceramic. This coating reduces the damage done by heating the hair. Likewise, another solution to hair damage due to ironing is ionic or infrared technology. These types of heat sources also reduce the risk of damage and breakage. Another popular addition to the hair ironing industry is heat protecting serums. Many women with thin or color treated hair use a heat protection serum to help prevent further damage to their hair. This usually also results in smoother, shinier tresses. You might think that’s where the hair iron’s story ends, but there are still innovations being made within the hair straightening industry. For example, ceramic plates might not be new, but floating plates are an innovation because the plate alignment gives you straight hair fast. In addition, ionic heating actually locks in hair’s moisture, so hair isn’t damaged as badly by straightening. Hair irons with infrared light lock in moisture too, so be sure you get a flat iron that has both, like iKONIC’s Supernova. Also, many modern hair straighteners come with safety features, like an automatic shut off. This is very important for the safety of your home and family. As was previously mentioned, ceramic plates are commonly used, but you want to make sure you get a flat iron that is made with Tourmaline. This ceramic substance has a lot of benefits, like heat ventilation. Some hair irons don’t let the heat escape, which creates problems for your hair. Those that do ventilate heat allow the hair to benefit more from negative ion conditioning technology. Some may also provide specialty heating levels so you know exactly what temperature heat you are applying to your hair. These innovations to the world of hair straightening have set the tone for what’s to come. Is that the end of flat iron innovation? Most likely, the answer is no. The flat iron has come very far in the last 125 years, and there are probably more improvements to make. It’s clear from the flat iron’s history that changes made could help improve upon prior designs. Take the original hair straightener’s design, for example. People saw the need for a decent hair straightener, so they built upon the original design. That paved the way for what we now know as the flat iron. After the flat iron, though, hair straightening technology developed further. That’s how technology like negative ion conditioning was created. Now, it’s up to clients to express their hair straightening needs to their hairdressers and salon experts. That way an innovator can come up with the next big thing. Until then, people can choose from a range of hair straightening tools, all of which have a significant history. If you want to be on the cutting edge, though, you can buy the newest hair straightening technology out there. Once you try it, you’ll see that the future of hair straightening is already here. Hey! Are you a hair stylist professional? iKONIC offers a variety of professional tools to fit you professional skills, if you are a beginner or a pro you will find what you need or looking for. try us! Have you always wanted to bring professional styling tools into your life? If so, then iKONIC products are for you. That’s because they are easy to use, reasonably priced, and perfect for your skill level. You might be thinking that professional styling tools are too complicated to use. Fortunately, iKONIC styling tools are made at the professional level but with the average person in mind. So, you don’t have to be a stylist to use one!Not only that, but there’s a wide arrange of styling tools you’ll love. 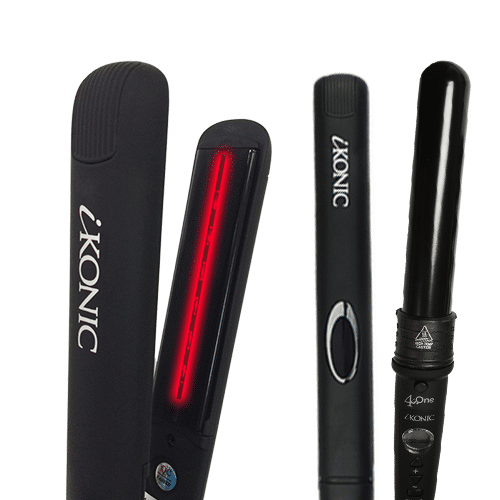 iKONIC products feature a wide array of flat irons, curling wands, hair dryers, accessories, hair care, and more. When your hair looks its best, so do you. That’s probably why you want to learn the best practices for doing your hair. Even though it seems simple, hair styling can be complicated. You have to learn some of the tricks of the trade to make sure you can get the best quality looks. Learning these secrets is especially important if you don’t have a lot experience using a hair straightener. That’s because you might damage your hair, hurt yourself, or get poor results. Many women love the way their looks after the beach. Unfortunately, hair can also get really dirty at the beach, so most women don’t let their hair remain beachy for too long. Thankfully, you can get beach waves without having to take a dip in the ocean or get all oily from sunscreen. Instead, you could use professional styling tools to create clean beach waves in minutes. It might be hard to believe that this style is so easy to achieve, especially because it looks so good.